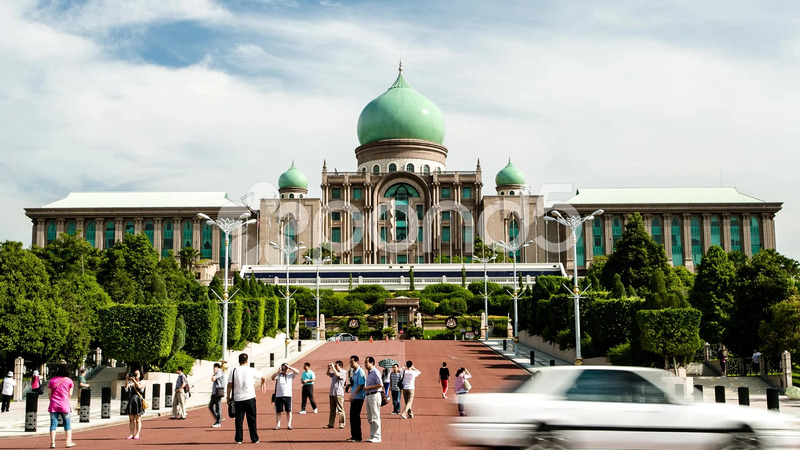 Description: A timelapse of visitors in front of Perdana Putra in Putrajaya, Malaysia. Surrounding greenery and passing vehicles are visible in the footage. The beatiful architecture of the government complex can also be appreciated.